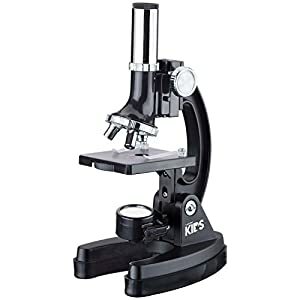 AMSCOPE-KIDS microscopes are made of the finest materials and with the best optics to make certain that you get precise answers and solutions to all of your endeavors. 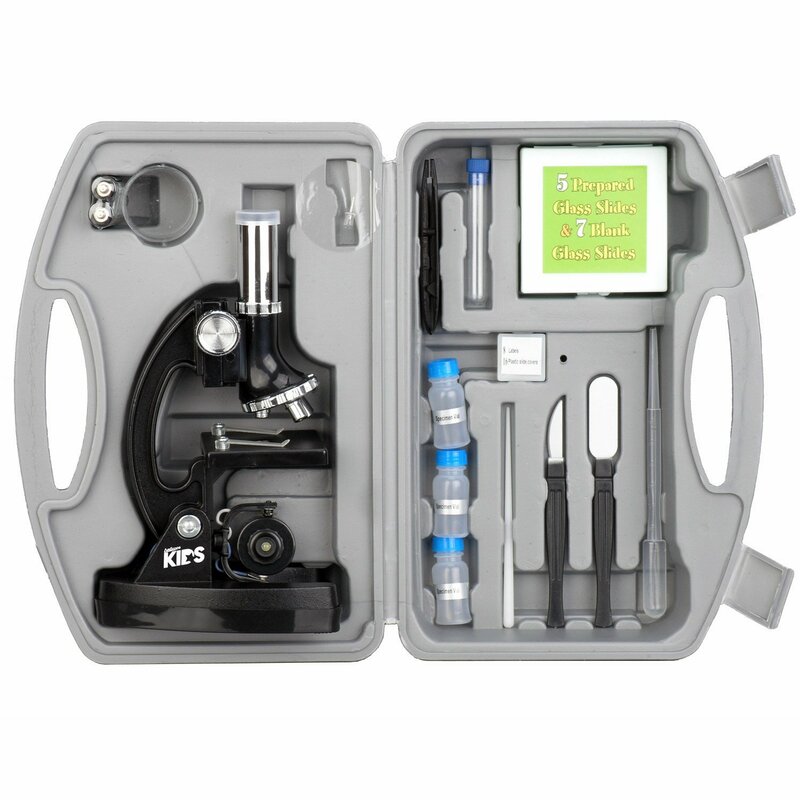 With this microscope set, young scientists can investigate everything from cells to crystals. 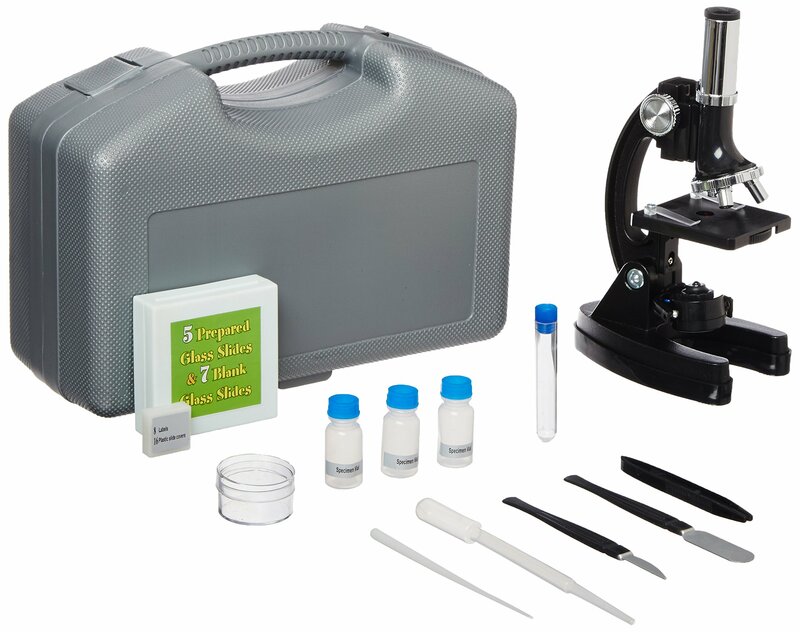 Perfect for individual or classroom use, the glass eyepieces and power settings, 120X, 240X, 300X, 480X, 600X and 1200X, provide users with superior precision viewing. The built-in natural light (through the mirror) and LED (powered by two AA batteries) illumination system and rack-and-pinion focusing help deliver bright clear images. 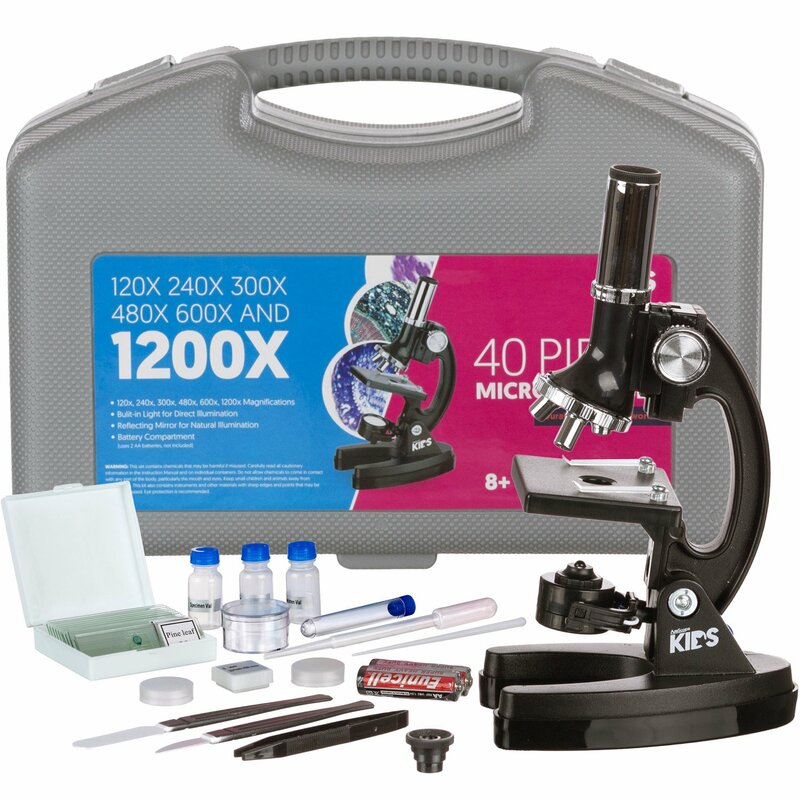 The 48-piece kit has professionally prepared slides and everything users want to make their own specimen slides. 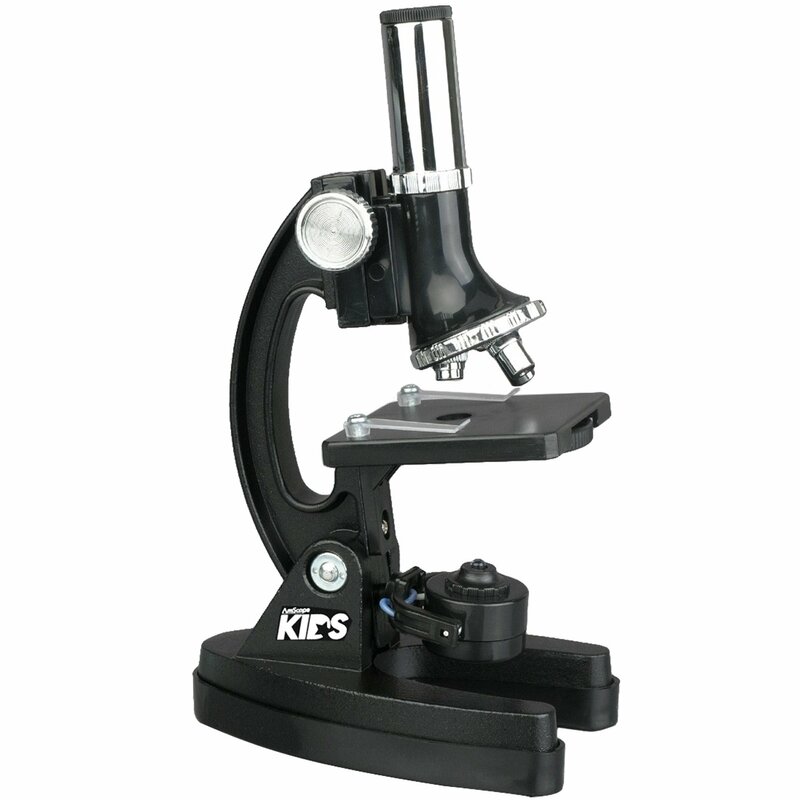 The microscope has a durable metal arm, single coaxial coarse focusing and specimen stage with two built-in stage clips. 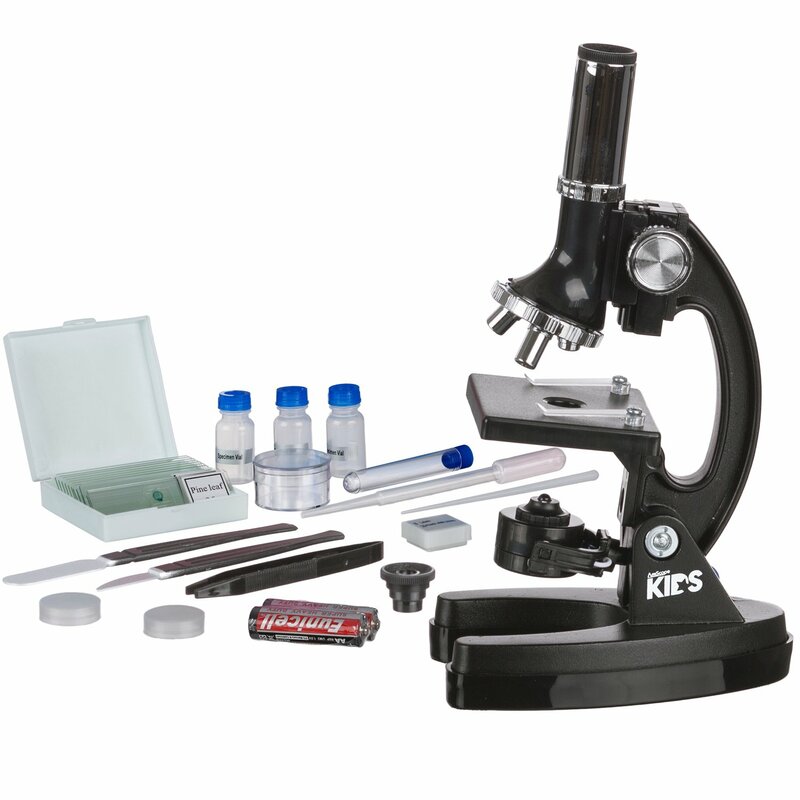 It includes high-quality components and features that make it appropriate for science learning at any age. The kit comes with sample slides, cover slips, plastic tweezers, a plastic scalpel, specimen vials, adjustable lenses, collecting vials, plus a sturdy hard case for easy storage and go back and forth. 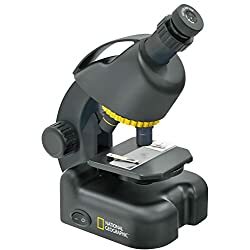 The preferred microscope book included, The World of The Microscope, investigates the enormous variety of objects too small for the eye to see. 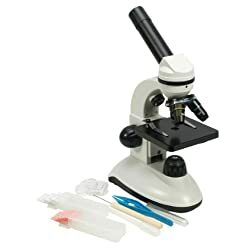 Step by step diagrams show how to get the best from a microscope and how to make and keep slides. 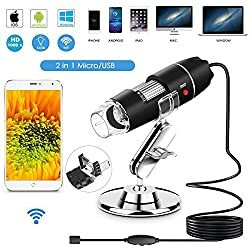 It covers several types of microscopes and there are many exciting suggestions for projects which reveal the unbelievable detail of on a regular basis objects. This kit is great for beginning scientists. 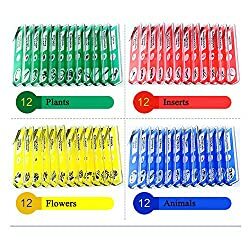 Two AA batteries for LED light are included.